This is #saveoursnowman basically this is Vanilla Soft Cream special by Shirokuma, I think nothing can compare the softness and happiness of soft cream and then for the topping there're Rice Krispies, Meringue and Shirokuma's special mochi ! To complete the Snowman there's a choco chip for the eyes and buttons, chocolate stick for the hands and honeystars for the nose, a complete ingredients in one bowl and will be a sensational combination. The Matcha Christmas Tree is a super decent matcha cookies ever, you'll get surprise another strong point of this menu ! LAST ! Inject the snowman with the best cure in the world, Mactha Cream :p as Shirokuma already identically with Matcha, you don't need to worry about the taste, and get ready to get another surprise because you have a bottle pills of happiness and how it works? 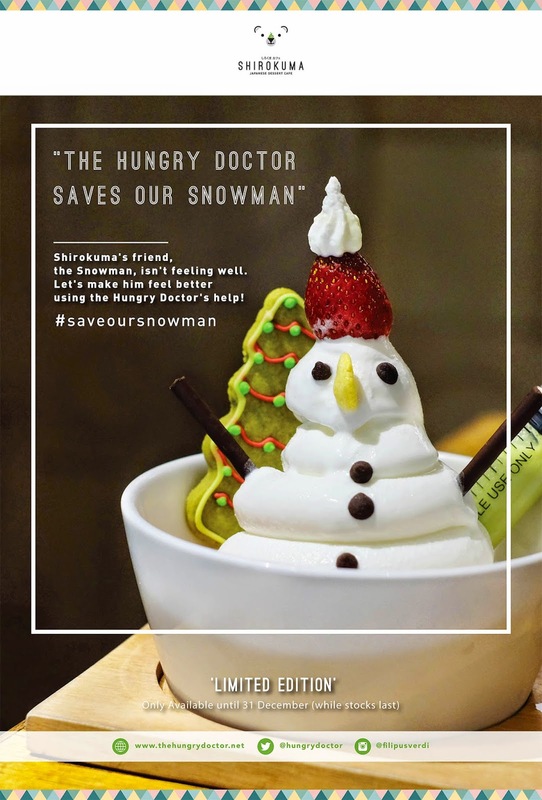 Just simply go to Shirokuma and order this one, your happiness won't over even when you have finished this Snowman ! 4. This contest ends 12 December 2014, so regram it now and maybe you're the lucky one ! So simply right? Go regram it now and share the happiness of Christmas with us ! 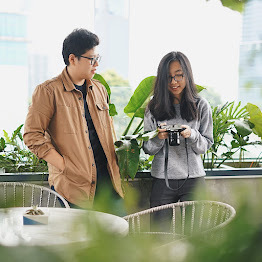 pengobatan berbagai macam penyakit secara alami.. This venue and the event coordinator were true gem- it was intimate (we had 100 guests) and has a lot of character, which allowed us not to have to invest in extra lighting or decorations.